Websaver has introduced Websaver Rewards, a new points based Loyalty and Rewards program! Become a Websaver Rewards member and earn $5 or $10 cash rewards to your Paypal account or use points to receive mail to home coupons for Free! How do you earn rewards? Easy! Complete Online Surveys on Websaver and collect points, the more surveys you complete, the more points you accumulate. Hurry! Sign up now to receive over $60 in savings with a Free order of mail to home coupons. They will be giving away ZebraCoupons promo codes to the first 1,000 who register. Please note, the promo codes comes through a welcome email that Websaver/ZebraCoupons sends out once you complete the profile survey. If you are already a ZebraCoupons member just log in at the link below from the "login" link in the top right corner, you do not need to register again. 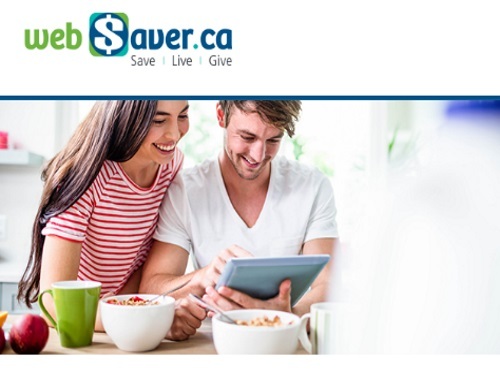 Click here to check out Websaver Rewards.